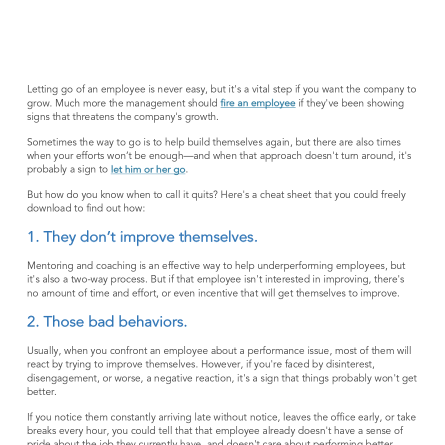 Letting go of an employee is never easy, but it's a vital step if you want the company to grow. Management must be prepared to fire an employee if they've been showing signs that threatens the company's growth. Because having just one problem employee can drastically reduce the productivity of your team.